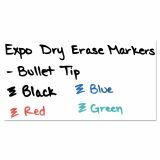 EXPO Low-Odor Dry-Erase Marker, Medium Bullet Tip, Blue, Dozen - Dry-erase marker contains specially formulated low-odor, dry-erase ink. 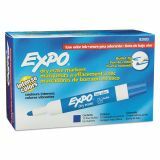 They are perfect for classrooms, small offices and homes. 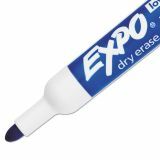 Can be used on most whiteboards, glass and nonporous surfaces. 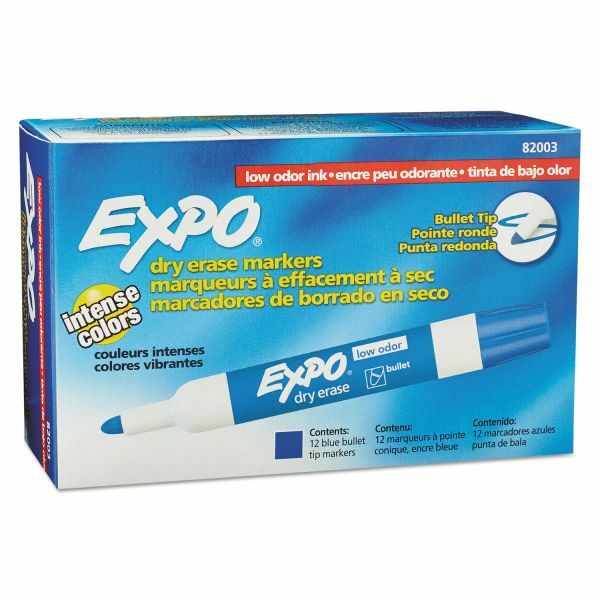 Consistent color quality delivers bold colors and great erasability. Bullet point. 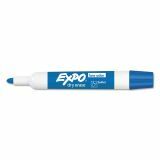 Certified AP nontoxic and conforms to ASTM D-4236.